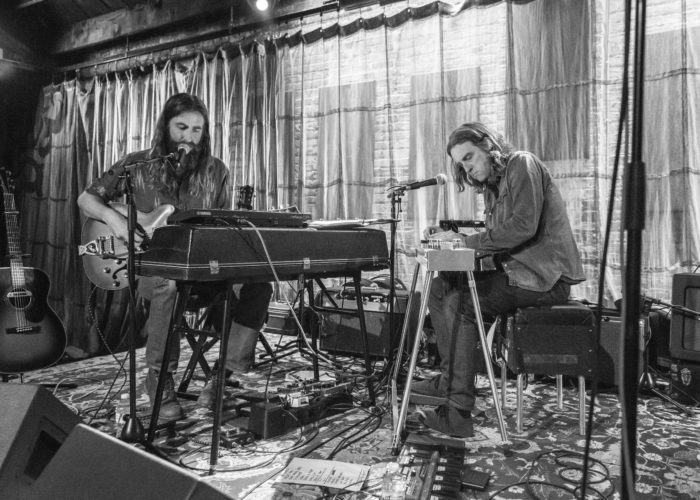 Two musicians who've spent more of their time touring in bands than on their own have completed new solo releases and joined forces for a set of shows. 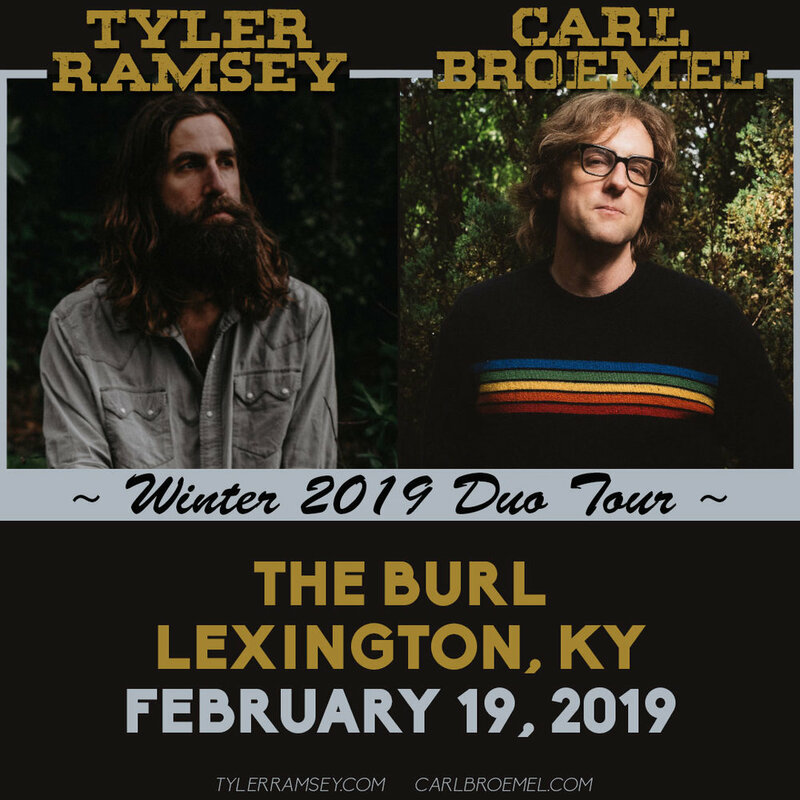 Carl Broemel of My Morning Jacket and Tyler Ramsey, formerly of Band of Horses, bring their tour to Columbus tonight and WCBE for a live session this afternoon. Be sure and listen to the full podcast just below the feature. Broemel and Ramsey share more about their new songs, memories of their bands, and you'll enjoy the songs they select in the Fast Five. Carl Broemel says his latest release titled Wished Out represents a bit of his personal journey navigating current times. "There's a lot of negativity and strangeness and confusion in the world, and I realized I was taking part in it," Broemel said. "I wanted to change that. If there's a theme to the record, it's taking control of your life and taking responsibility for how it feels no matter how much the external world seems to be causing it all. You have a way to flip a switch and make it work." "It's enlightening to do it because I realize what I'm good at and not good at," Broemel said of working on solo material. "I'm not 100 percent comfortable being the front guy. But when I get through it, I'm glad for the challenge. I adore working with other singers and songwriters. That's my role in this world. 'm just trying to make something better than the last one." Broemel's current collaborator on the music scene shares similar sentiments. The song A Dream of Home comes from new material Tyler Ramsey releases in April. Ramsey spent a decade with the group Band of Horses. His new music reflects the changes in his life, including becoming a father for the first time. "It's that thing that any working parent goes through whether you're a touring musician or going to work in an office," Ramsey said. "We all have to make a living to support our family, but you want to be around as much as you can to help and experience such a life-changing thing. I felt I was missing out on that. There's a shift in my focus now where I need to do my own songs and if I'm going to be out touring, it needs to be at my own pace." Ramsey and Broemel say they're looking forward to touring together. "He feels like a musical brother," Ramsey said. "In the process of learning his songs and digging in, I'm in awe of his arrangements. His guitar playing is a contrast to mine. He's such a great solo player, so figuring out how to support him in the songs, it's going to be fun." "Our bands did many shows together before he left Band of Horses," Broemel said. "He's a super talented guitar player who's also a singer but wasn't the lead singer. It's a bit of an experiment. We're pals but we've never really played together. We're going to do shows where it won't be separate sets. It'll be one set where we accompany each other and bounce songs back and forth." 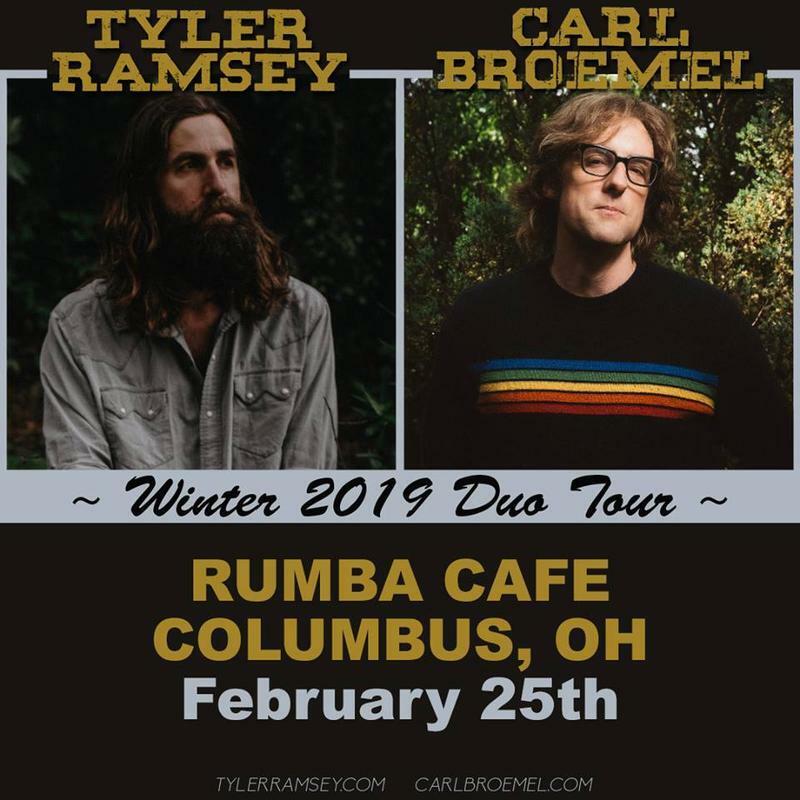 Broemel and Ramsey bring their tour to Columbus tonight at the Rumba Cafe. They also perform Live From Studio A here at WCBE this afternoon during the Global Village. Listen to the Podcast at WCBE.org. 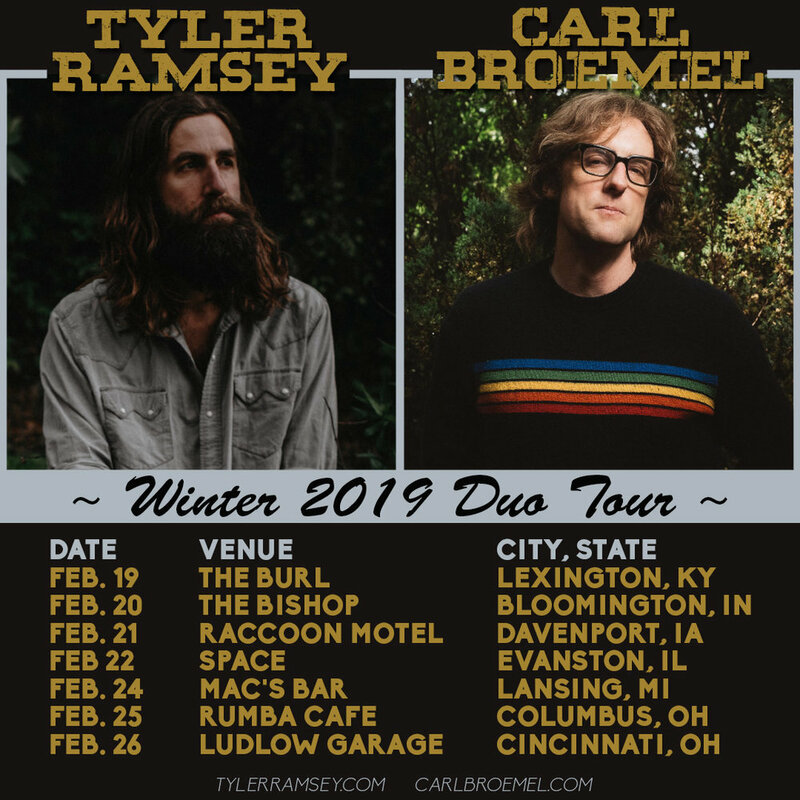 Tyler Ramsey will join Carl Broemel (My Morning Jacket) for the Winter 2019 Duo Tour - a run of intimate shows that will see the two guitarists together onstage accompanying each other on a mix of both their own material, as well as some special covers. Tickets for the tour are on sale now. Hope to see you at a show!